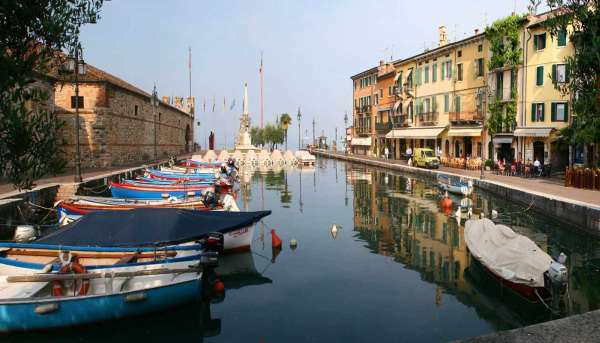 It is worth it though, because it is said to be one of the most beautiful villas on the Garda. The English Garden that surrounds it gives it a very elegant appearance. 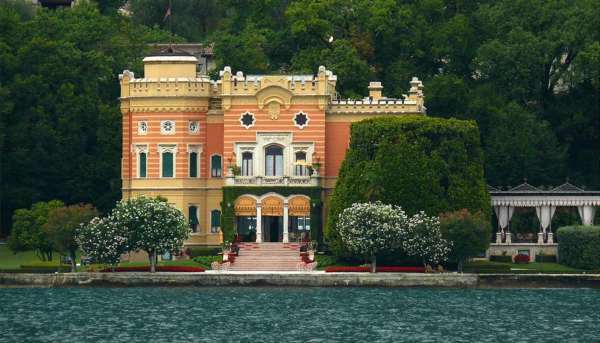 The villa was inhabited by Alessandra di Rudinì, descendant of the Sicilian princes, Paternò (1876 - 1931). The countess, beautiful, cultured and rebellious, went down in history for having had a life that was very eventful and not at all common in the late 1800s. After having become a widow at the age of 23, she started a “dangerous” relationship with Gabriele D’Annunzio, giving to him, she later would say, “from the nails of my strong foot to the tips of my weightless hair”. After a period of secret encounters between Milan and the Villa on the lake, she went to live in Florence (“with him”). The chronicles of the follies and the lavishness of the couple in those years were so abundant that at a certain point, her father disinherited her. When the love story with D’Annunzio ended on a sour note (the poet abandoned her while she was still convalescing from an illness), Alessandra returned to Garda and lived out a period of reflection and solitude in the villa. There are 147 letters dated between 1903 and 1907 that recount the love story, recently purchased from the Fondazione Vittoriale at an auction by Bloomsbury, in December 2011. Alessandra was a woman “outside of her time”: her passion for horses, dressing in men’s clothing, her long trips undertaken alone, the use of the pistol and hunting rifle, the spending of money in an unconventional way, her driving of automobiles, the forbidden books. Society had judged her harshly for the first part of her life. Yes, because her story didn’t end with the abandonment by D’Annunzio. Alessandra at 35 became a nun and died in Paray le Monial in France.